An investment of Rs 100 in gold three years before is worth Rs 82.50 now. For investors in gold, things haven’t been good for the past few years. 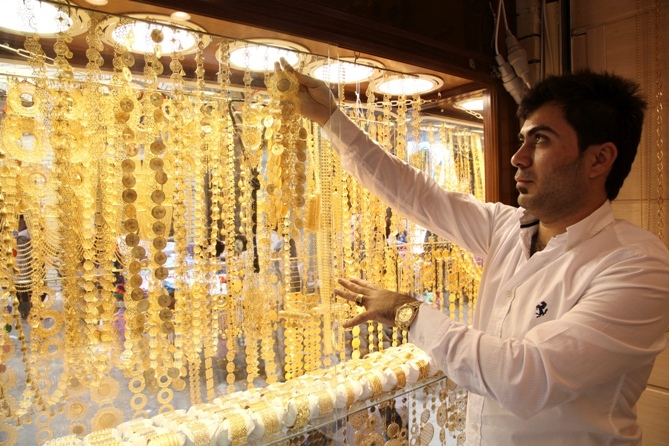 Many like Vinod Doshi, a dentist by profession and regular investor in gold for the past three years, are worried on whether to continue in the yellow metal or not. 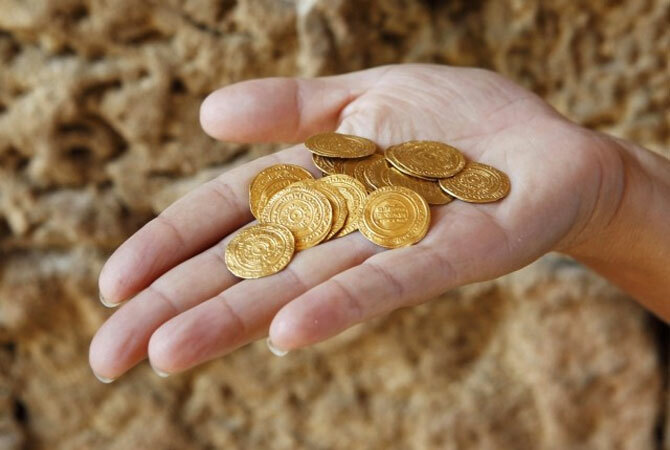 “I have been buying two gold coins every month. "Though the prices fluctuated, I kept buying it like a systematic investment plan. Now, I am not sure whether I should continue,” says Doshi. The current bear run in gold’s international price has already been the second longest since 1975. Even in the Indian context, where the fall in the rupee helps offset the drop in global gold prices (and improves returns), the current bear market -- 694 days -- has been the longest since 1996, according to data from Bloomberg. 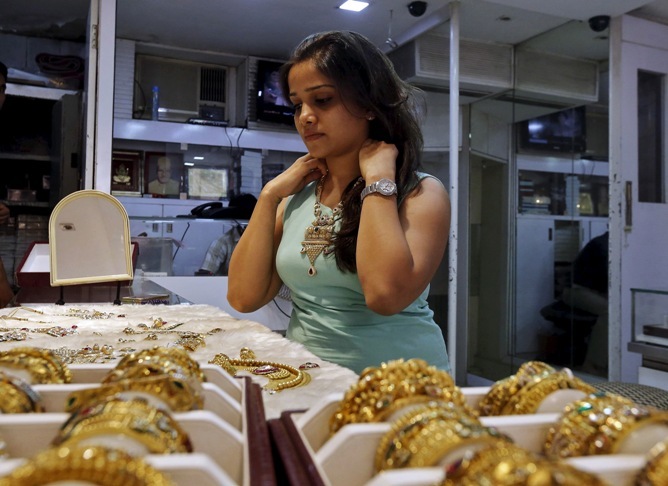 Gold funds, consequently, have fallen by 6.21 per cent annually in the past three years. In other words, an investment of Rs 100 in gold three years before is worth Rs 82.50 now. 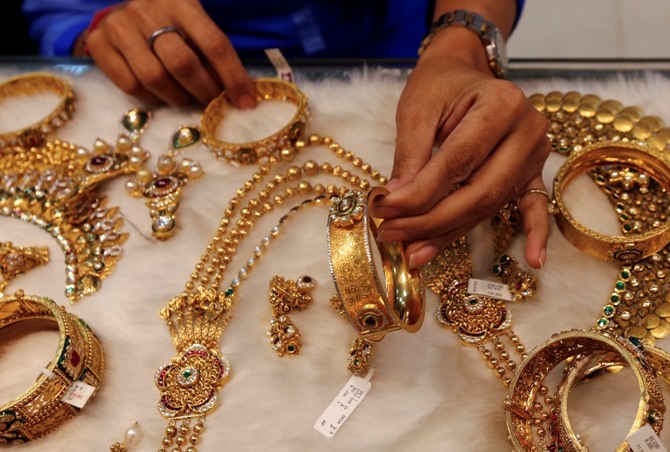 On Friday, gold closed at Rs 25,000 per 10g. If one goes by experts’ views, things really do not look too good in the near to medium term. Whether it is CLSA's Chris Wood or Morgan Stanley, the prediction is more downside. In such a situation, there would be many questions in the minds of investors. 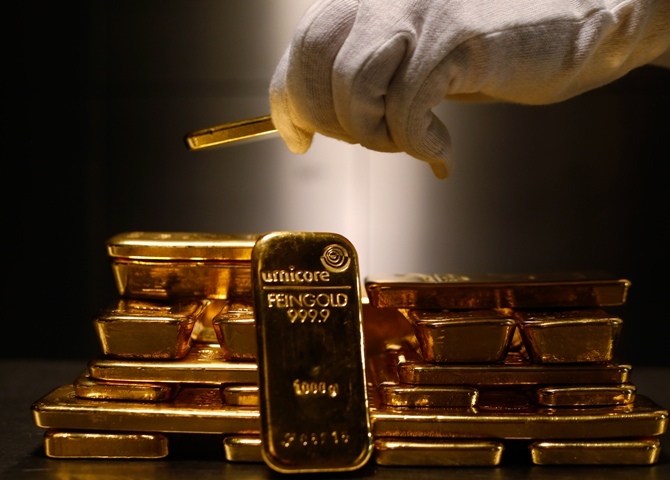 Business Standard conducted a poll of leading gold analysts and fund managers to get their view on some key issues. Should I invest or buy gold? The question is tricky because it depends on how you look at gold. As far as jewellery goes, timing is of least importance, as it can be used by family members. 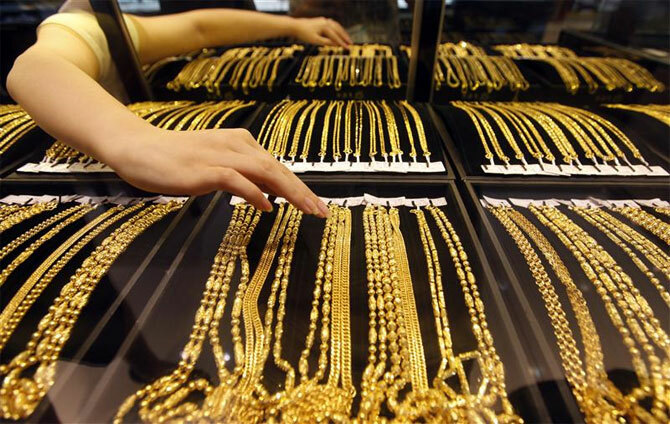 On the other hand, if you are looking to buy gold for a future wedding or event, you could wait for some more time -- say, another three to six months. As far as investing goes, the holding period is crucial. Participants in the BS poll say if your time horizon for investment is more than two years, it might still make sense to buy. The target price for entry being between Rs 23,000 and 24,500 for 10g. Renisha Chainani, senior manager at Edelweiss Financial Services, says investors can start an SIP right away if they don't want to take a call on the price. If someone wants to put in a lumpsum, she suggests waiting for two or three months till the price goes below Rs 24,000. Analysts believe if an investor has a horizon of two years and more, they will benefit from the strategy. Such investors can expect between 30 and 40 per cent returns, says Vibhu Ratandhara of Bonanza Portfolio. Internationally, $980–1,000 an ounce is the psychological mark. Since this is the average mining cost for most companies, further fall will lead to supply cut by mining companies. According to him, even if you buy now, there is no way to be sure whether it is at the cheapest level or not. Selling gold is rarely a consideration for most families but for an investor it has to be the harsh reality, much like equities, especially if gold forms a part of the investment portfolio. 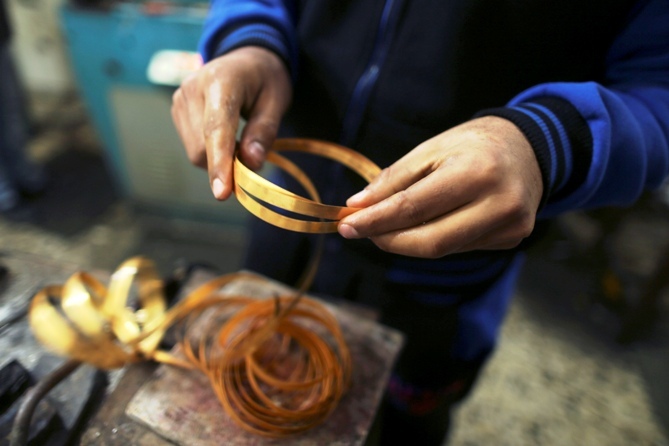 “If you have three to five per cent in gold, it makes sense to hold it. If you have more than 10-12 per cent, it makes sense to sell part of it. We have already been pruning exposure to gold in our clients’ portfolios for over a year,” adds Pandit. 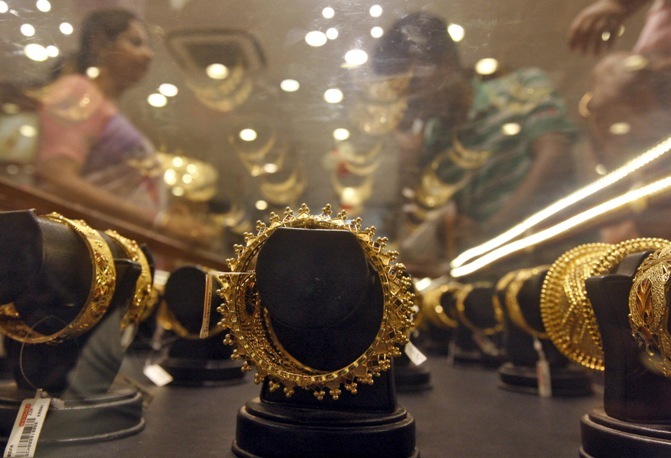 Eighty per cent of analysts in the BS poll believe if the time horizon of gold investment is less than two years, investors should sell it. Some believe prices could fall to as low as Rs 22,000/10g and rise as high as Rs 28,000/10g in the next six months to a year. This is around a 12 per cent rise/fall on either side, a significant amount for any investor. Have you taken a gold loan? 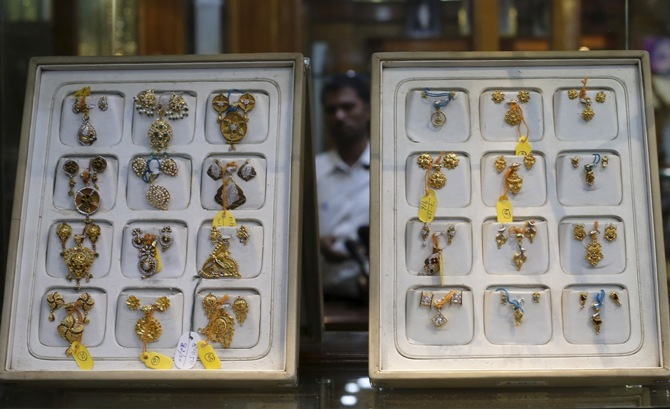 While the Reserve Bank of India has mandated the loan to value ratio at 75 per cent for gold loans, a continued fall in prices could mess these numbers. Say, you have borrowed Rs 45,000 by pledging 20g (worth Rs 60,000 at Rs 30,000 per 10g). With the price falling to Rs 25,000/10g, the value of 20g would be Rs 50,000 and the LTV would become 90 per cent. The bank or the non-bank financial institution, depending on the amount already paid back and remaining tenure, would have to seek additional payment from the customer to maintain the ratio at 75 per cent. Reports suggest some banks are already doing so. If the sliding trend continues, there could be more demands. Financial planners suggest in such circumstances, it would be a good idea to sell equities and repay the loan completely. “Repeated demands for margins might completely mess up your finances. "It would be prudent to sell equities or withdraw from investments like fixed deposits and repay the entire amount,” says a financial planner. However, don’t go for a personal loan, as this will be too expensive. Will the gold for cash scheme pay off?